So I wrote to Tiger Brands and they replied. See below. 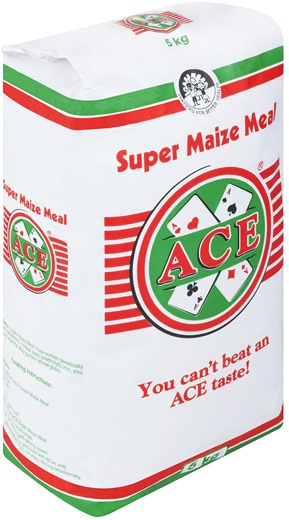 I recently saw your latest promo online where a consumer won R1000 because she produced an Ace Maize Meal packet to an “Ace Maize Meal agent”. Great! No problem as we all like winning, cash as they say is king. What I find offensive is how that consumer, a lady, someone’s mother, was made to dance (like in most commercials targeted at black consumers), like a brainless idiot. Is this how Tiger Brands sees its black consumers? What happened to “customer is king, in this case “Queen”? Is it not enough that this poor customer went out of her way, spending her hard-earned cash to buy your product? Shouldn’t you reciprocate by treating her with the dignity she deserves? Surely you can set an example on how to communicate with your consumers in a respectful way instead of doing what everyone is doing? Enough of this insulting trend that’s become the norm in SA. We’re sorry you feel that way and assure you that Tiger Brands respects all consumers and customers. Dancing is done as a celebratory gesture and does not denote any racial segregation. We are certain that the consumer will reach out to us directly, should she feel offended in any way. let me understand one thing; the people in this advert are actors and therefore she’s not the real winner. If they are how can you expect her to reach out to you should she feel offended? You paid her to act in your commercial so she’s indebted to you, ever heard of “never bite the hand that feeds you”? Even if she was the actual winner I’m sure there’s other reactions she displayed at that moment that are more dignified than what you are showing in the commercial. Your response left me wondering if you really cared about how you depict your black consumers vs your white consumers. If you follow the advertising trend in South Africa you’d have noticed by now that black people dance for everything and I mean everything from Funeral Policies, Pap(that’s where you come in), Insecticides, R5 airtime etc. You never show white people doing the same, why? I feel you need to reconsider your communication when it comes to your black consumer, acknowledge them and stop treating them as just your cash-generating machines. Trust me you can help change this trend or you can perpetuate the stereotype by looking like everyone else – your competition. You can start by preferably appointing a black ad agency to work on your brands or getting strategic and creative black people to do it for you. Just because everyone is on the “black people dance for everything” trip doesn’t mean it’s true, and of course you will know that. Hoping for a more convincing response.